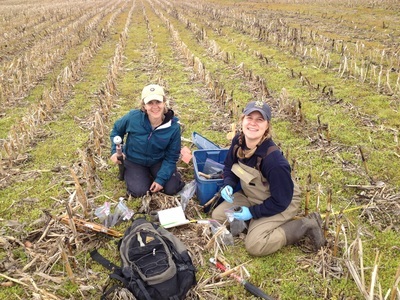 Our goal is to achieve adoption of cover crops on 85% of cropland and to install the two-stage ditch along the majority of channelized ditch draining the Shatto Ditch and Kirkpatrick Ditch Watersheds, We are conducting rigorous monitoring in order to capture change over time as these best management practices are implemented. This will enable us to quantify the benefits to water and soil quality and undertake economic valuation of adopting these practices. 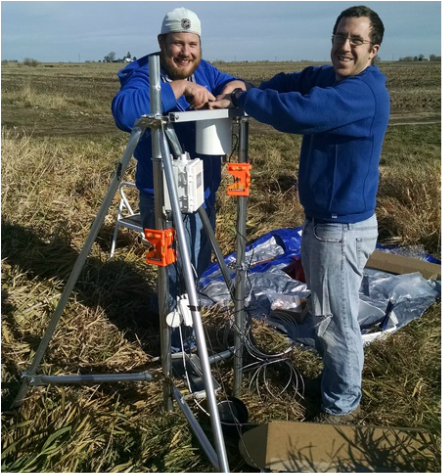 Our researchers from University of Notre Dame and Indiana University are measuring stream and tile drain flow and nutrient losses from each of the watersheds. Both streams and the majority of the tile drain outlets are being sampled every two weeks in order to quantify sediment and nutrient levels. Sondes have also been deployed to make a continuous record of additional water quality parameters. In addition, our USGS partners have installed a stream gauging station at the outlet of each demonstration watershed and nitrate sensors will also be installed at these locations. This will allow real-time measurement of flow and nutrient fluxes. 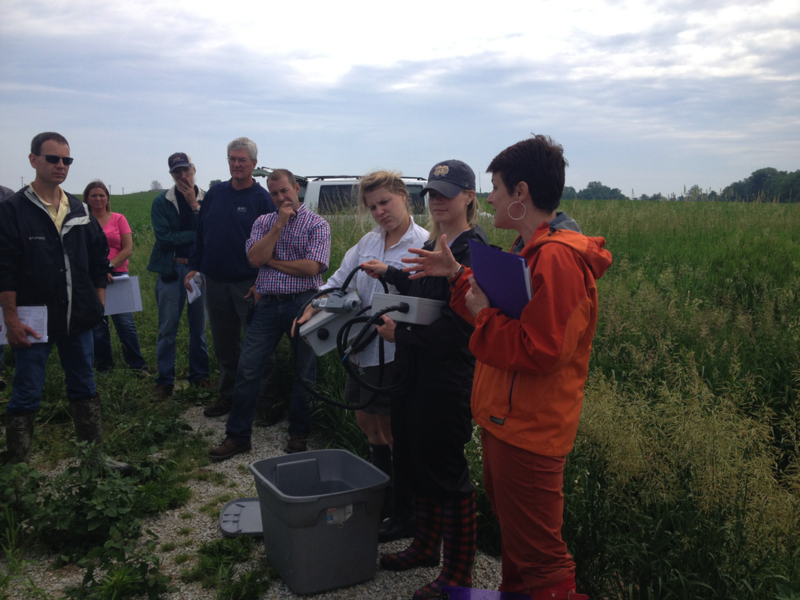 Water quality and quantity data from our two demonstration watersheds will also be compared to paired "reference" watersheds in close proximity, where cover crops and two-stage ditch have not been implemented. Quantifying water and nutrient export from the reference watersheds will allow us to verify that any benefit in water quality and quantity is not due to other factors such as weather/climate. Extensive soil sampling and nutrient analysis is also being undertaken in order to measure the impacts on nutrient retention and soil organic content. These measures are being used to quantify the benefits of winter cover crops in improving soil health. 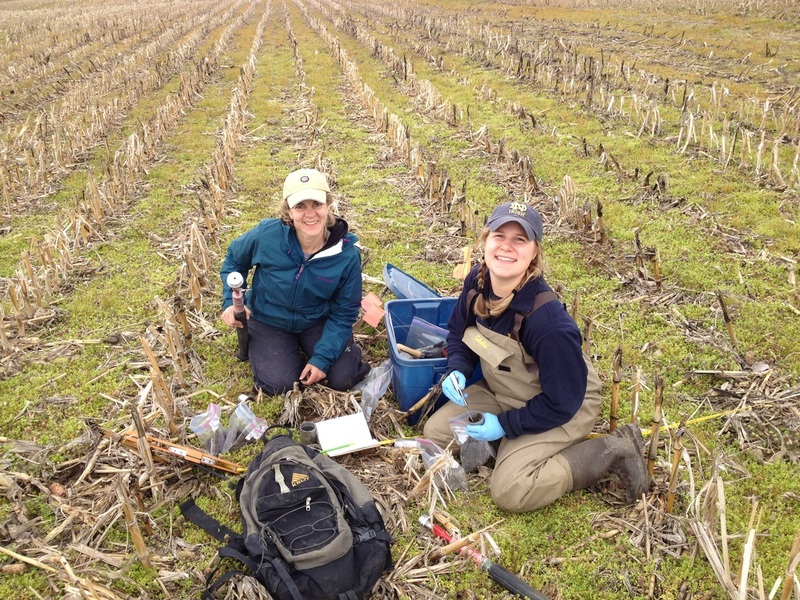 Soil sampling is being carried out in fall and in spring, before and after cover crop termination, in both watersheds. Samples are being collected at set points on transects and analyzed to determine dry bulk density, pH, soil moisture and total nutrients. We are using the process-based Soil Water Assessment Tool (SWAT) model to predict the benefits of the paired cover crop and two-stage ditch in the watersheds. By using our real-world water and soil monitoring data we will validate the SWAT model at the watershed-scale. 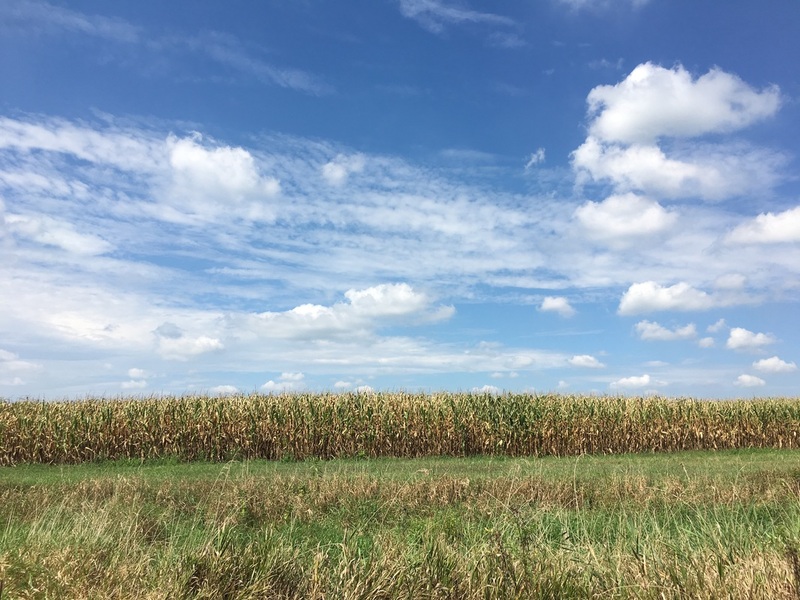 These modeling efforts will allow for broader conclusions to be reached regarding the effectiveness of these conservation practices, regionally and beyond. For producers to adopt cover crops and the two-stage ditch they have to have evidence that the practices work and are economically beneficial. Therefore we will quantify the economic benefits for producers and the environment of the watershed-scale implementation of the cover crop/two-stage ditch pairing, including the ecosystem service of increased watershed nutrient retention as well as the costs and benefits to the producers. 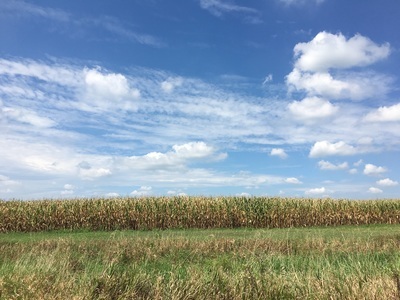 We will use agronomic data provided by producers and partners, as well as our water and soil data, to conduct an economic valuation and benefit-cost analysis at the watershed scale. 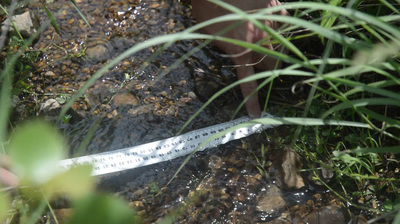 A key component of our project is to rigorously document the impacts we are recording in order to disseminate our findings in ways that are meaningful to producers, natural resource managers and the academic and scientific community.​ We are using multiple channels of communication to share our work such as publishing academic papers, hosting field days, giving presentations, and attending conferences. Our Resources page provides informational materials and links to other project outputs.